Alex Main, who has died aged 86, worked for the Press and Journal. A prominent Highland journalist who worked with the Press and Journal and was also a highly successful football manager has died at the age of 86. Alex Main was the doyen of the Highland Press world and went on to win 14 trophies as manager of former Highland League side, Caledonian. He said: “Alex was focused on being the best at everything he did, from his journalism to his golf and his football. 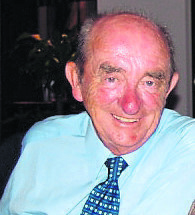 His 50 years of service to journalism in the Highlands and Islands is without equal. His fairness, accuracy, impressive network of contacts and nose for a story singled him out as a top reporter.